VyprVPN, the known VPN provider from Golden Frog released the new version from its VPN application. VyprVPN App 1.1 avoids a number of bugs for an improved user experience. 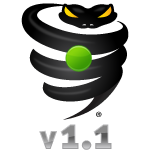 The free update is now downloadable by any Golden Frog VyprVPN customer. ← Manage your privacy on Google in 2012 – How to prevent Google from tracking you with a VPN?